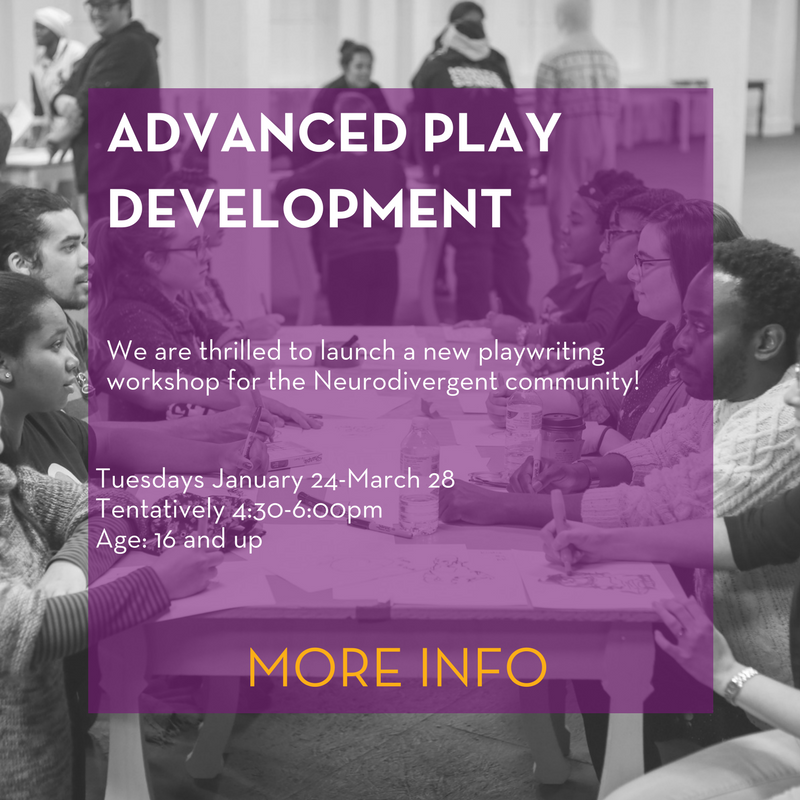 We are thrilled to launch a new playwriting workshop for the Neurodivergent community! We welcome self-identified writers on the autism spectrum to join us for ten weeks of playwriting workshops. Playwrights will work in an environment crafted to facilitate the specific needs and creative process of each individual. Bring a play in process or a play idea, and set yourself a specific writing goal. Facilitators Claire and Mr will teach practical writing and revision techniques to get each script performance ready! Our final class will be a short professional reading of each playwright’s work, and playwrights can invite friends and family to attend. This course is recommended for storytellers who are on the autism spectrum and have some experience with theatre-making or playwriting and want to build on fundamentals with imagination. *As this is the first time we are offering this class, we will check with registered families to identify the best time that works for all.